How badly does your property need to get rid of that moss, algae, grime, soot and crease? If you knew the damage such pollutants can do to your property, you would understand that there is an urgency to get rid of them. A pressure wash can save you lots of money in avoidable property repairs. NICK’S Window Cleaning is here just for that. 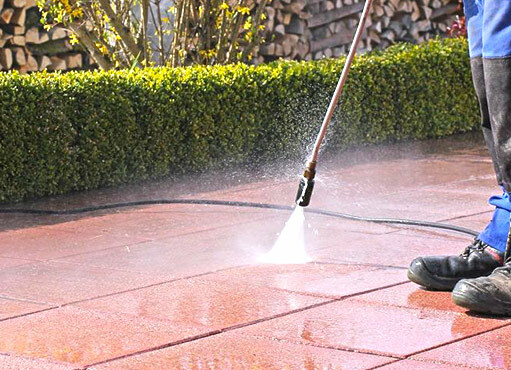 Having delivered pressure washing services Vaughan residents have depended on for over 10 years, we know our way to the perfect wash for your home. We pride ourselves in our experienced technicians and our safety-guaranteed service, thanks to our full-liability insurance and WSIB coverage. Thinking they can save some money, many people take the DIY road. But that can be a grave mistake. By the time they are realising their mistake, they are already thousands of dollars deep in damaged property plus injuries. Seeing how powerful pressure washers can be, it is never a smart idea to choose to operate them yourself unless you are experienced. The average property owner cannot manage to pick the right machine, let alone use it in a timely manner without injuring themselves or damaging their property. A professional can take away all that stress. The fact that we have full liability insurance should help you relax even more. A beautiful home is only a call away. If you think you can get your home power washed by yourself on a single DIY Saturday, you are probably mistaken -at least if your property is of the size of the average Vaughan home. You need more than just the time it takes to get the cleaning done. You will also have to consider the time you will spend trying to buy or hire the machine, and then the time you will take to clean your home. All this might not even yield any meaningful results since you are not experienced. Qualified professional pressure washers can be in and out in a short while, leaving your property sparkling clean. Why Rely On Professional Vaughan Pressure Washing Services? If you have noticed that your property needs thorough cleaning, one of the best options you have on the table is power washing. The dirt that mars your property can be stubborn and ordinary cleaning methods just won’t cut it. That mildew on your roof, the grime and grease on your driveway, the stains on your gutter? Well, these can take you forever to clean unless you get a serious power wash. But power washing equipment is not for the untutored. You need to have the training and experience to handle the equipment and tackle the different problems you might face as you clean your property. Professional pressure washers have all the weapons, training, and experience necessary for the job. Here are 3 reasons to get pros for your power washing needs. The latest equipment: Power washing equipment is ever changing, ever improving. Trying to get one by yourself might leave you with a mediocre machine, wasting your money in the end. There are too many brands to choose from and it would be difficult to navigate your way through all the clutter. With professional having your back, you can trust you will have only the best guns around, and get a swift yet effective wash.
You also need chemicals. Choosing the right ones can be a bewildering endeavour. A trained and experienced power washing technician can select the right cleaning agents for your materials and type of dirt. The latest techniques: Pressure washers do not just blast water out of the nozzle. The pressure is adjustable depending on the type of dirt, how stubborn it is, and most importantly, the type of material. The wrong settings can do more harm than good. For example, it is easy to strip your surfaces of their vibrant finishes if the pressure is too high. If it is too low, you will only end up compacting the dirt, making things worse. 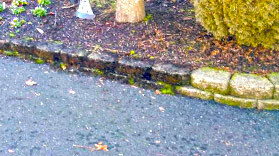 Professionals know all the nuances of pressure washing. They can fine tune the equipment to make sure the job is done quickly and effectively. They know from what angle to attack the dirt and what direction to take in case they encounter any stubborn problems. When all’s said and done, you will have your property restored to its youthful appearance without wasting time or money. Get the pros on board and sit back as they make short work of your power washing job.